This is a rectangular Economy Auto porcelain sign. This particular Economy Auto sign is very colorful. 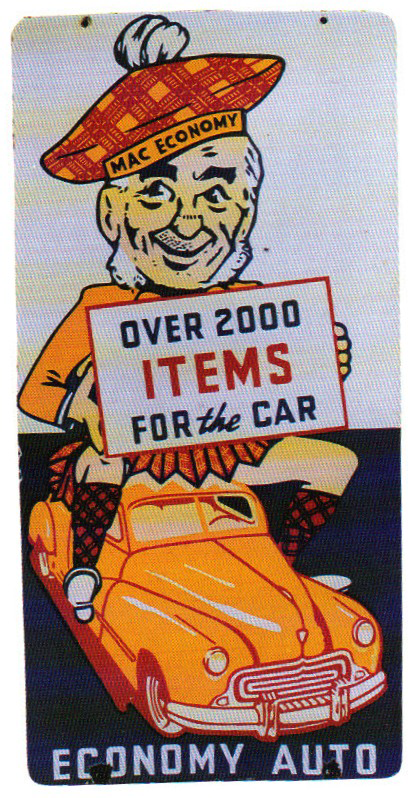 It reads, “Economy Auto, Over 2000 Items for the Car, Mac Economy” and features a man wearing a kilt sitting on top of an orange car holding a sign.